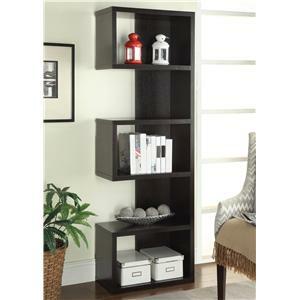 This wall unit looks fantastic using multiple cases stacked next to each other. 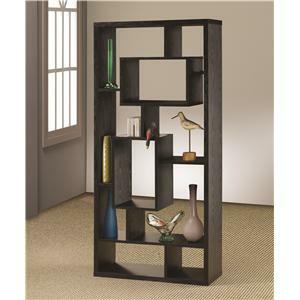 The geometric compartments create a varied space to display and store items. 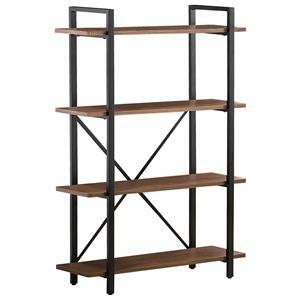 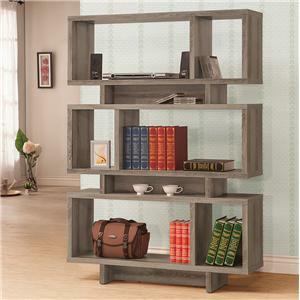 The look of the interlocking shelves will dress up any wall while the weathered grey finish keeps it natural and casual feeling. 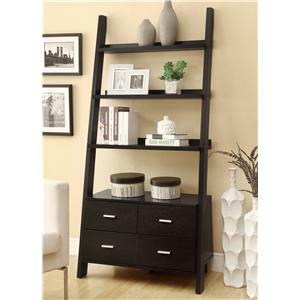 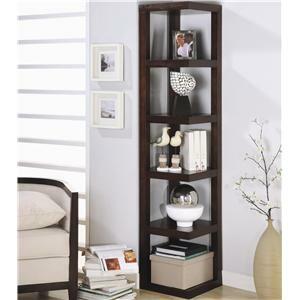 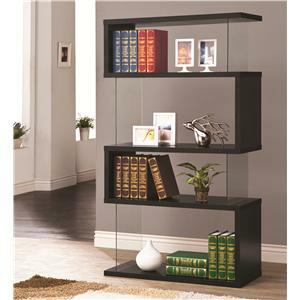 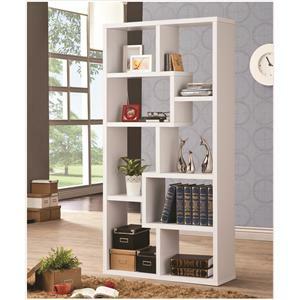 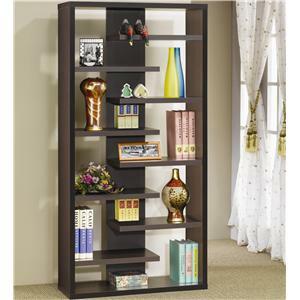 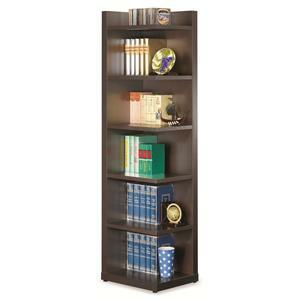 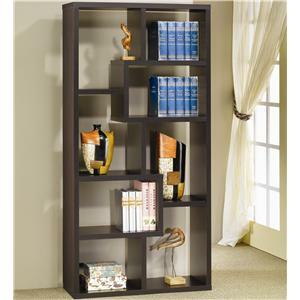 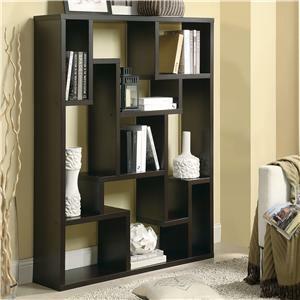 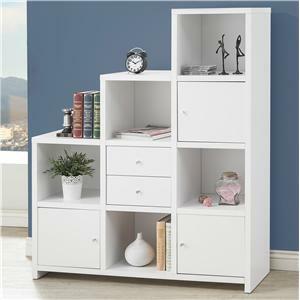 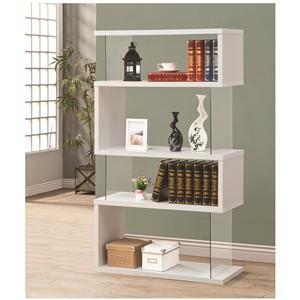 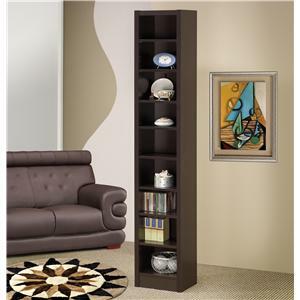 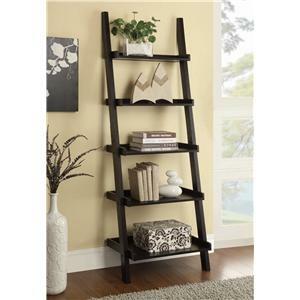 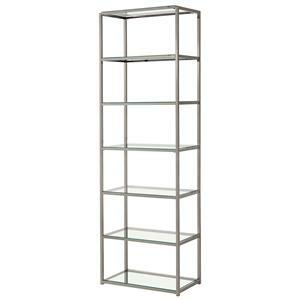 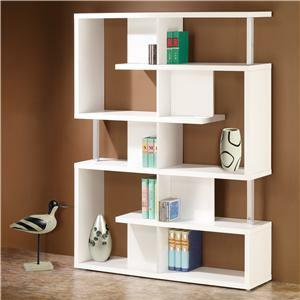 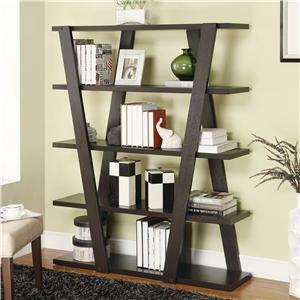 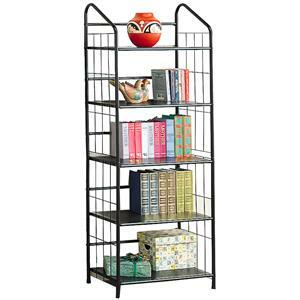 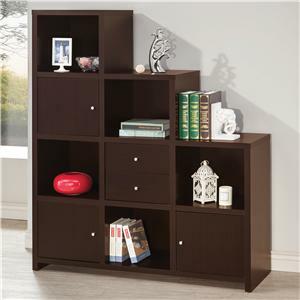 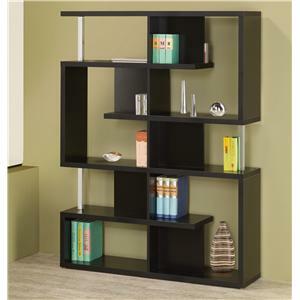 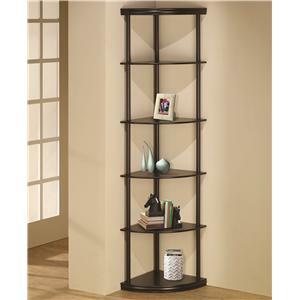 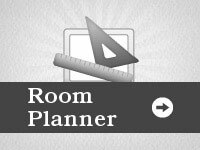 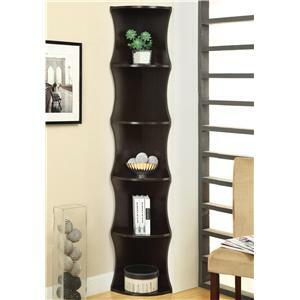 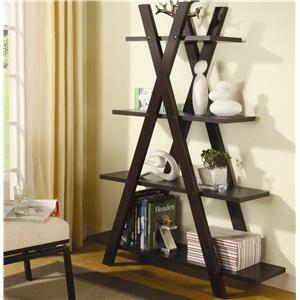 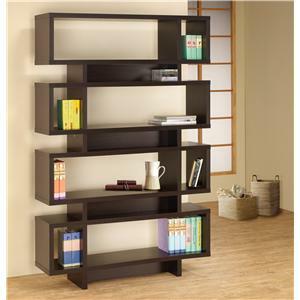 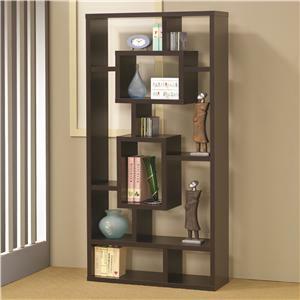 This book case offers great storage option for compartmental organization and different size items. 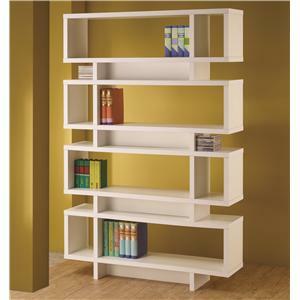 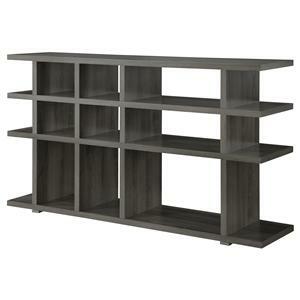 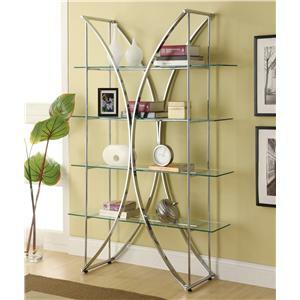 The open back is a nice feature to use this shelf as a divider with two-way display. 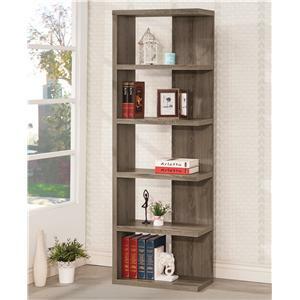 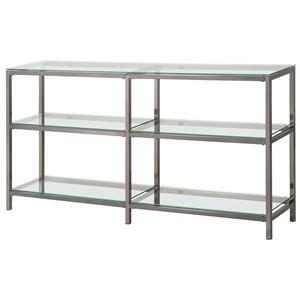 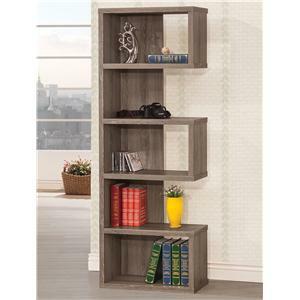 The Bookcases Multiple Cubed Rectangular Bookcase, Weathered Grey by Coaster is available in the Adams county, Ohio, West Union, Winchester, Peebles area from Edmisten's Home Furnishings. 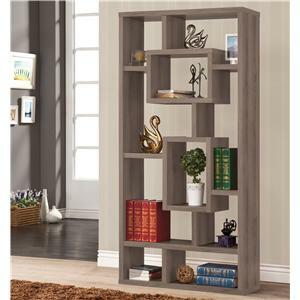 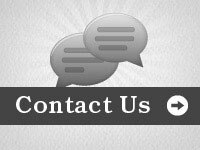 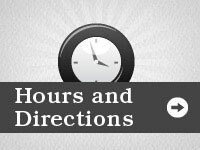 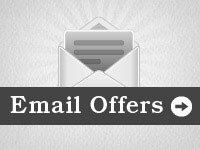 The Bookcases collection is a great option if you are looking for furniture in the Adams county, Ohio, West Union, Winchester, Peebles area. 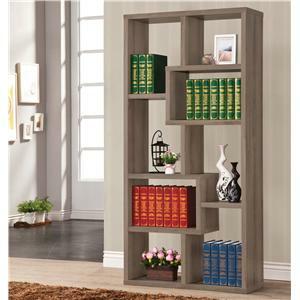 View other items in the Bookcases collection available from Edmisten's Home Furnishings in the Adams county, Ohio, West Union, Winchester, Peebles area.